Molds are part of the natural environment. Outdoors, molds play a part in nature by breaking down dead organic matter such as fallen leaves and dead trees, but indoors, mold growth should be avoided. Molds reproduce by means of tiny spores. The spores are invisible to the naked eye and float through outdoor and indoor air. Mold may begin growing indoors when mold spores land on surfaces that are wet. 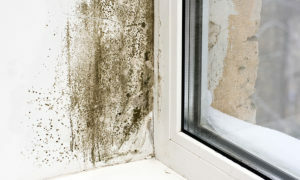 There are many types of mold, and none of them will grow without water or moisture. Mold may present health hazard and is a sign of unhealthy building conditions. This is both from a structural standpoint as well as a habitability standpoint. Mold inspections are a non-invasive inspection of a structure for the presence of visible mold and or mold producing conditions. During a typical mold inspection, we will utilize: infrared cameras, humidity monitors, and moisture meters, to help determine the presence of these conditions. Mold inspections can be customized to the conditions/needs of each individual home. A typical stand alone mold inspection will start at $300.00 and includes two air samples. If additional samples are desired, we will discuss with the options, based on the individual job. Air sampling is a method of using a calibrated pump to force air into a collection cartridge. A typical mold test will take two samples; one indoors and one outdoors as a control. These samples will be send to a laboratory for analysis, the results will help to determine the level of mold spores inside the home’s air in comparison with the “normal” outside air levels. Surface sampling takes a localized sample, and is helpful in confirming the presence of and the species of visual mold. Results of these tests are usually available within one week. The client will receive a full report from the lab as well as a summary and explanation of results from HomeTech. As stated by the E.P.A. “Sampling for mold should be conducted by professionals who have specific experience in designing mold sampling protocols, sampling methods, and interpreting results. Sample analysis should follow analytical methods recommended by the American Industrial Hygiene Association (AIHA), the American Conference of Governmental Industrial Hygienists (ACGIH), or other professional organizations.” HomeTech is a certified tester and uses only certified testing laboratories for sample analysis. Molds are usually not a problem indoors, unless mold spores land on a wet or damp spot and begin growing. Wet or damp environments have the potential to cause health problems. Allergens, irritants and, in some cases, potentially toxic substances can develop in these areas. Inhaling or touching mold or mold spores may cause allergic reactions in sensitive individuals. Allergic responses include hay fever-type symptoms, such as sneezing, runny nose, red eyes, and skin rash (dermatitis). Allergic reactions to mold are common. Molds can also cause asthma attacks in people with asthma who are allergic to mold. In addition, mold exposure can irritate the eyes, skin, nose, throat and lungs of both mold-allergic and non-allergic people. Research on mold and health effects is ongoing. This article provides a brief overview; it does not describe all potential health effects related to mold exposure. For more detailed information, consult a health professional. You may also wish to consult your state or local health department. Read more on our blog here. 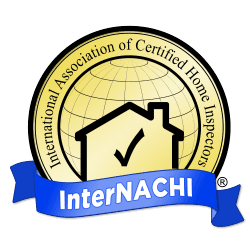 Mold Inspection or Home Inspection? A home inspection is a complete inspection of the home, see The full inspection for details. A home inspection includes a visual inspection for mold and mold producing conditions; such as moisture intrusion. It may include the use of specialized equipment in warranted, but the price does not include testing. Add mold testing to a home inspection at a discounted rate. See Pricing for details.